Thousands of Canadian school children are exposed to cancer-causing emissions from diesel school buses every day and, according to this year’s Healthy Schools Day campaign, it is time to make sure that all schools are taking every possible action to reduce those exposures and risks. STOP IDLING – Turn the engines off while school buses are waiting in loading zones or near school grounds. AVOID BUS ‘CARAVANNING’ – Ensure there is a gap between buses during travel and in loading zones to keep the exhaust of one bus from polluting the cabin air of another. CHANGE THE TIMING OF SCHOOL VENTILATION – Help reduce the infiltration of diesel bus and other vehicle emissions into schools by ensuring that high ventilation periods do not occur during busy loading/unloading times or rush hour. UPGRADE AND REPLACE OLD BUSES – Emissions from older buses can be improved with pollution control upgrades, and new technology diesel engines offer vastly improved emissions performance. Best of all, replace old diesel vehicles with new buses powered by cleaner energy such as electricity. Healthy Schools Day is an annual nation-wide campaign led by the Canadian Partnership for Children’s Health and Environment (CPCHE). It is clearly important to understand cannabis use by and harms to young people. With the recent legalization of non-medical cannabis use in Canada, youth and cannabis are a continued area of focus for prevention and harm reduction. Understanding use and harms helps ensure targeted policies, programs and services that effectively prevent cannabis use and reduce harm among young people. The Canadian Centre on Substance Use and Addiction (CCSA), in collaboration with the Student Drug Use Survey Working Group, released a new report, Cannabis Use, Harms and Perceived Risks among Canadian Students. This report compiles data from five provincial and two national surveys on available indicators of cannabis use, harms and perceived risk among students in grades 7 to 12, for survey cycles occurring between 2007 and 2015. Overall cannabis use decreased between 2007 and 2015. This decrease was valid when examining daily, monthly/past month and past year cannabis use. Among students in grades 7 to 12, surveyed between 2012 and 2015, up to one-third reported using cannabis in the past year. More frequent cannabis use (daily, monthly/past month) was more likely to be reported by male students. Approximately one in five students who used cannabis drove a motorized vehicle after cannabis use. There is insufficient evidence to determine trends and this is an important knowledge gap to address. Greater consistency in the cannabis indicators collected across provinces and territories is needed to better understand the impact of cannabis legalization on Canadian students in grades 7 to 12. This report is available through the Student Drug Use webpage on CCSA’s website. By popular demand, Why Play? brochures are now available at individually priced rates. 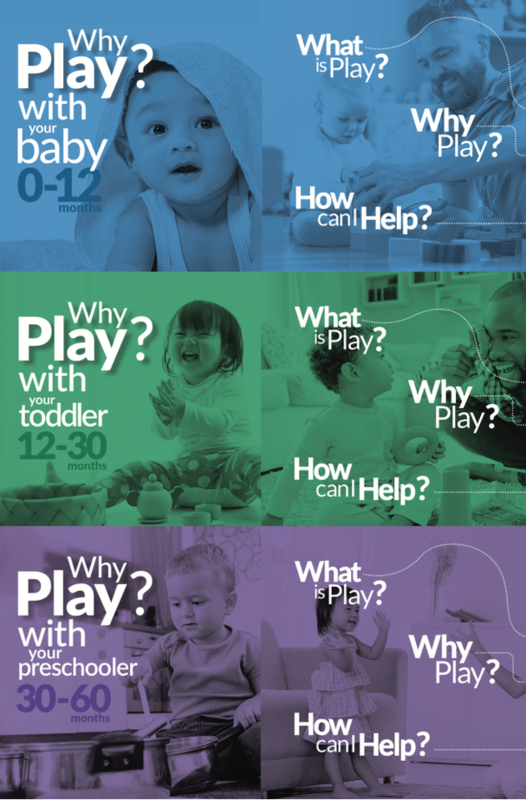 Now, not only can you order the rebranded Why Play? brochures in packs that include all three age groups, but you can also order separate age groups that best pertain to your organization. Formerly only available in English and French, we now have the brochures available in four additional languages: Spanish, Arabic, Punjabi and Simplified Chinese! New research from AllerGen’s CHILD Cohort Study has found that babies sleep less at three months of age if their mothers do not have a university degree, experienced depression during pregnancy or had an emergency cesarean-section delivery. “Sleep affects a baby’s growth, learning and emotional development, and is one of the most common concerns of new parents,” says AllerGen investigator Dr. Piush Mandhane (University of Alberta), one of the study’s lead authors and site leader for the Edmonton site of CHILD. There are several possible explanations for the association between maternal depression and infant sleep: “Mothers in distress tend to have sleep problems during pregnancy, which can be ‘transmitted’ to the fetus via the mother’s circadian clock and melatonin levels,” observes AllerGen investigator and co-lead author Dr. Anita Kozyrskyj (University of Alberta). The study, published inSleep Medicine, analyzed data from 619 infants and their mothers participating in the CHILD Cohort Study.